This gallery is dedicated to Mac Simpson who Passed April 5th 2019....safe travels my friend. A fairly recent shot giving a little perspective to the location where Green Run was relocated in. 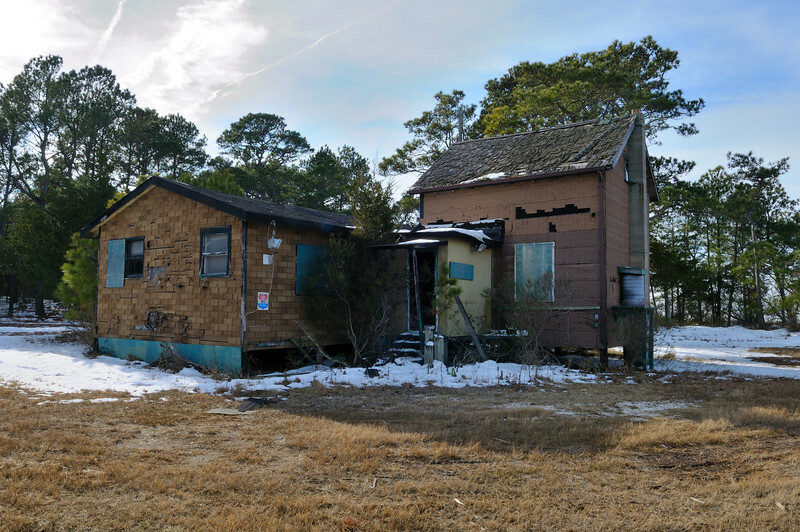 In the next photo you will see the bill of sale for the tallest portion of the building which was part of the Old Coast Guard Rescue Station which was abandoned. The Jackson's moved this building to the first green run location and later after selling their property to Ackerman they moved it to it's current location. Many efforts have been undertaken to restore the lodge but none have been successful. It's current condition probably makes restoration impossible.